The most striking successes of their work are their redefinitions of the very character of educational research... There is an especially brilliant discussion of the relations between a traditional literary culture and selection for arts courses. The way in which the ruling ideas of a social system are related to structures of class, production and power, and how these are legitimated and perpetuated, is fundamental to the sociological project. 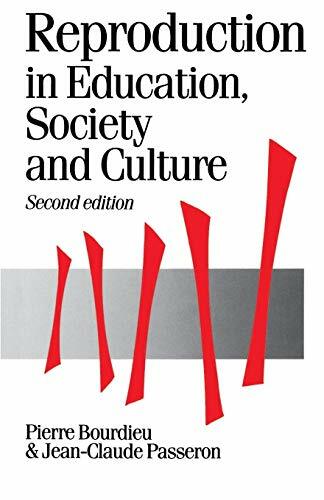 In this second edition of this classic text, which includes a new introduction by Pierre Bourdieu, the authors develop an analysis of education (in its broadest sense, encompassing more than the process of formal education). They show how education carries an essentially arbitrary cultural scheme which is actually, though not in appearance, based on power. More widely, the reproduction of culture through education is shown to play a key part in the reproduction of the whole social system. The analysis is carried through not only in theoretical terms but through the development of empirically testable propositions within the wider framework of the historical transformation of the educational system.